As a kid growing up I was crazy about learning how to type. Luckily I had access to a business office and was able to hone my typing skills on the manual typewriter in the office. Taking business classes all through school I begged for my own typewriter and received the Royal Portable Typewriter for my own use. It was manual of course and used the old-fashioned spool ribbons. This typewriter lasted me well into my early twenties. When I researched the Royal Laminator I found up for auction on DealDash, imagine my surprise to find the Royal Consumer Information Products Company is the same company that manufactured my old manual typewriter from many years ago. Founded in 1904 in Brooklyn, New York, the Royal Company began production in an old tool shop. The first Royal typewriter was sold in 1906. In 1927, the president of Royal wanted to prove the ruggedness of his products so he purchased a tri-motor airplane and dropped over 200 typewriters in crates with parachutes across the Eastern seaboard. Over 11,000 typewriters were delivered this way and only 10 were damaged! After being owned by several foreign companies Royal Information Products became an American owned company in 2004. After reading the reviews about the new Royal laminator I found on DealDash I knew this was an item I would find useful and durable. I can use this for personal use and at the office for small laminating chores that can be done quickly and economically. I am delighted with the new Royal Laminator I received from DealDash. I have read several reviews about the laminator and feel for my purposes this is going to fit my needs perfectly. Again, DealDash is coming up with great product offerings for their customers. We get free and fast shipping and some of the best finds we can really use in our homes. Thanks DealDash! This entry was posted in Brands on February 28, 2015 by . Being a proud homeowner requires a lot of hard work in the spring and summer to keep your outdoor areas landscaped, pruned and clean. Thanks to the Flexrake, the job will easier. When winter ends this year there will be a lot of debris from the snow and blowing of items around our yards. Picking up the debris and getting our shrubs and trees pruned back will be a challenge. 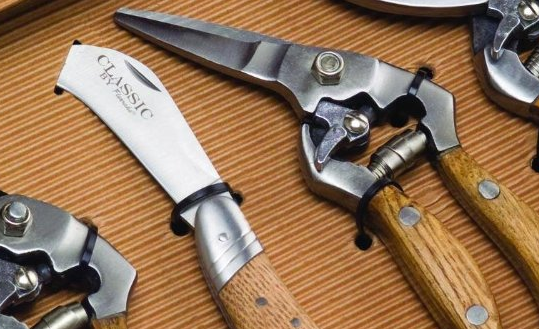 When DealDash offered the Classic Flexrake gift set which includes a four-piece set of pruners and knife with heavy wood handles, and sharp forged steel blades, I knew this was something I was going to want for my yard work. Flexrake manufactures quality landscaping equipment and tools for all types of users. An individual homeowner who maintains their yard will find these hand-crafted tools to be a definite asset. When I received the set I was impressed with the weight of the items. I have purchased pruners so often I can’t count them. Always disappointed, I was anxious to receive these and test them in my yard this spring. One of the best things about shopping on DealDash is finding items that are not in your scope of experience. The quality of these hand tools and the 5-year guarantee makes them a bonus find for me. Reading some reviews from previous buyers and users, I feel confident I made a wise decision trying to win this 4-piece set. While I was not successful winning auction for these tools, the buy-it-now feature is always available so I used this option to get the tools plus all my bids back. As always shipping items from DealDash is always free and fast, I wish spring would come as fast! But, the items are ready when spring does arrive and I am looking forward to trying out the new Flexrake Classic set. While the auctions are not always to win, their buy it now option allowing a user to get all of their bids back for free is a great advantage. Thanks DealDash for offering quality items in your auctions! This entry was posted in Brands on February 27, 2015 by . 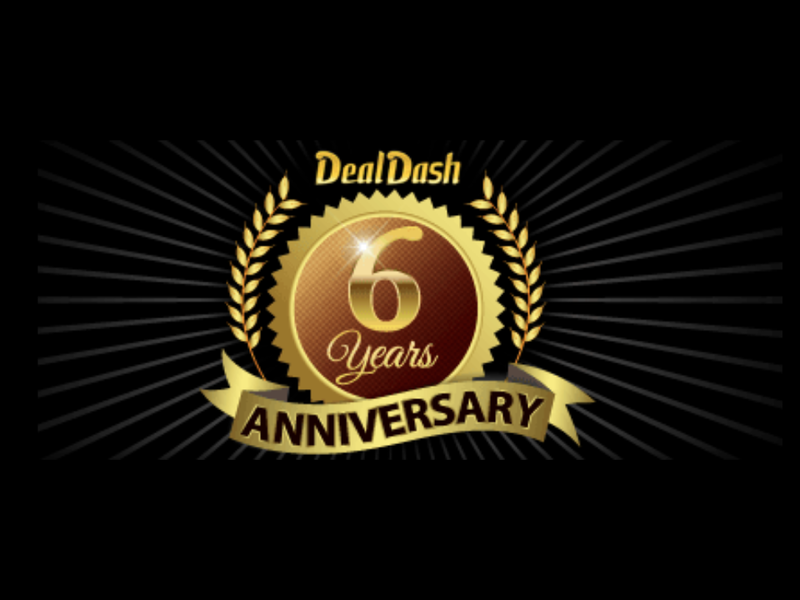 DealDash has been offering auctions for movie theaters gift cards for a long while. They have the Regal movie gift cards and the AMC Movie Theater cards too. I really enjoy movies and DealDash has offered enough opportunities to bid on and win gift cards to help me see more movies than ever before. In my neighborhood we do not have Regal Theaters, so I am bidding on the AMC Movie Theater cards pretty regularly. As my grandsons become a little more independent going to the movies with their friends is a regular weekend routine and I am happy to share my movie gift cards wins or purchases with them. Not being a regular movie goer for years, I now have a reason to see movies I would like to and even see some of the Oscar nominated movies I heard about but never went to see. Going to the movies is a great past time and can be really expensive these days, but with the DealDash auctions I can feel good about winning and or buying the gift cards and seeing as many of the latest movies at the AMC Theaters that I want to see. My family and I have made a weekend event out of going to the movies and then going out to a nice restaurant for dinner. The latest movies are always at the AMC Theaters and I have the Minion movie in my sites. The Minions from Despicable Me are always fun to watch. We just saw “McFarland USA” and I give it 5 stars! The audience cheered when it was over and we have not seen or heard that in a long time. A moving performance from Kevin Costner and his supporting cast, adding to that it is a true story, it was a real tear jerker for all. Thanks DealDash, you are always good to have great items up for auction and I am happy to be an avid customer! This entry was posted in Brands, Video on February 26, 2015 by . So, as DealDash celebrated their six year anniversary last week, they offered the bidders a huge gift! They offered 6-times free bids on your time as highest bid meter plus free auction wins meaning if you won an auction you did not have to pay the final sales price. Obviously if one looked at the final cost of the auction winners, the bidders were taking full advantage of the offer to earn free bids. An example of that is a $10 gift card that sold for more than $80! That means over 8,000 bids were placed on a single auction which was also offered free to the auction winner. I know DealDash is happy but so are their customers. We got to earn more bids than ever and if the auctions went your way, then the free bid meter filled up and the reward was more free bids! Of course the other bidders used the Buy it Now option on the $10 gift card to get their bids back. This was a great promotion and I believe DealDash was thinking of the bidders as much as they were celebrating their own six year success. Six years ago I was not a bidder on DealDash. I had found another auction site that I was mesmerized with and convinced I could win all sorts of prizes. Unfortunately the executives on the site made some bad decisions and customer service began putting off their customers and even exaggerated and mis-spoke about some circumstances regarding deliveries. Some winnings were never delivered and many customers totally lost their accounts and never got paid when the company closed with little warning. Luckily I got out of the site and received all of my items from them. I realized earlier than many that the company was having a tough time meeting their promises. Not having merchandise in their inventory to cover the auction wins was a huge red flag and I learned to be more cautious with any bidding I might do. Since I have been on DealDash and going on my third year now, I have not been misled or treated poorly at any time. Their customer service is excellent and their staff really listens to any customer concern, opinion, and suggestion. While my suggestions are not always implemented I always feel that I at least got listened to and my opinion mattered. Not many companies with a million “likes” are going to listen to the small consumer. DealDash really does! I am grateful to DealDash for the opportunity to be a “winner”, see the fireworks and even get my bids back in a buy it now offer if I need to. Happy Birthday DealDash, thank you for being “fair and honest”, and I wish you many more prosperous years! This entry was posted in Review on February 25, 2015 by . Anyone who knows me is aware of the fact that I LOVE things that are “kawaii” (Japanese for cute), and I also love to cook! Cookut puts both of those things together and makes me a happy cook in my kawaii kitchen with Cookut products. Cookut is based in France and has stores all across Europe, and also a few in select countries including the USA and Hong Kong. Cookut utilizes 9 different designers for its products, and they each have their own unique style and flair when creating the different products. Their brand is new, but they are already gaining respect and recognition in the design world, they are being featured in the 2015 Maison & Objet trade show in Singapore next month. There are so many amazingly cute and useful products it’s hard to pick just a few to highlight, but we definitely have to talk about their salt & pepper shakers. They are absolutely adorable! They come in fun and colorful animal designs including blue dragon, pink pig, red crab, gray elephant, and my personal favorite, purple elk. They also have the same animals available in egg cups, egg timers, and bottle stoppers. They are so useful and kawaii that I wish I could get the whole set of each animal, but I’m not really sure why anyone would need multiple egg timers. Another super cute thing that Cookut offers is multi-colored ceramic knife sets. Cheap ceramic knives are easy to find, but these are of exceptional quality and are fairly priced. They come in a beautiful range of colors including purple, baby blue, gray, green, and more. These knives are sturdy, and even though they are cute don’t be afraid to use them regularly, they are durable. If something were to happen they even have a TWO year warranty! That’s a very generous time frame in case you get a little too rough with the knives. Cookut actually offers a two year warranty on almost every single product that they sell, the only exceptions that I was able to find were the case that the knife set comes in, and the coating on the pans does not fall under the warranty if you happen to use a metal utensil and scratch it. This is definitely a very fair offer, and you should be able to try Cookut products resting assured that they are good quality and have the warranty to back it up. I like my home and especially my kitchen to be unique and custom in every way. That’s why I love Cookut, because I know that if I were to peek into every kitchen on my block I bet no one else would have any of these amazing and smartly designed products. It seems like every time I have someone new come into my home they are always interested in my kitchen because I have so many unique yet useful things. If you would like a little whimsical fun and originality in your kitchen you’ll be happy to know the new Cookut products will be available on DealDash soon. This entry was posted in Brands on February 24, 2015 by .